It's my turn to post on the Paper Nest Dolls blog again!! 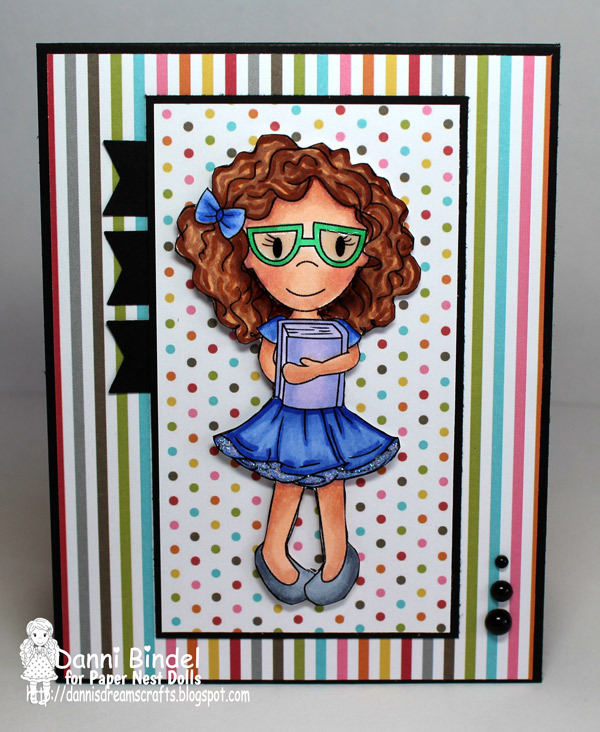 Today I colored up the super fun and cute Maddie with Glasses for my card! Danni your right...she is super cute! I always love the papers that you chose and your images. You always make your cards vibrant and so cheerful!